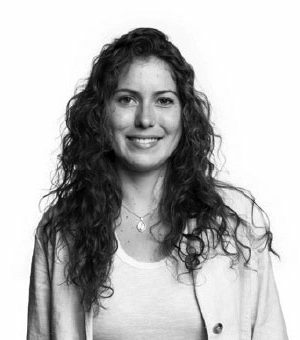 Mariana’s expertise lies in understanding lifestyle patterns and impacts in different cultural settings and in supporting the development of tools to foster stakeholder dialogue and more sustainable ways of living at different levels of action. Sustainable behaviour and behaviour change is an important component of Mariana’s work, and she is currently managing a project on capacity building of international NGOs on behavioural insights (Academy of Change), as well as an EU funded food value chain project, which assesses the drivers of consumer behaviour, and designs and tests approaches that can foster the uptake of more sustainable food purchasing behaviour (Valumics). Working with both public and private partners, Mariana has engaged in projects with organizations such as the European Environment Agency (EEA), the European Commission, the World Business Council for Sustainable Development (WBCSD), global ICT companies and international foundations. Mariana is a lawyer with a master’s degree in Constitutional and Environmental Law from the University of Coimbra, Portugal and Albert-Ludwigs-Universität Freiburg, Germany. In her master’s thesis she explored the interface between environmental law and Sustainable Consumption & Production (SCP), dematerialisation and sufficiency. She also analysed related mainstream legal and policy tools and recommended innovative approaches to support SCP through law and policy in Europe. Combining different fields of knowledge and having lived in a wide variety of countries have enables Mariana to provide an interdisciplinary and multicultural perspective about sustainable ways of living and cooperating. Mariana is a Brazilian national.